Using Video for Term-End PE Assessment – CONNECT! For the past few years I have been recording conversations (audio versions) at one of the term ends; whether it was term 1 or term 2 depended on the time commitment and how much procrastination I had done prior to November. These conversations were valuable, but not very efficient. Each conversation took about 5 minutes, plus set-up of the software (Garageband) and organization of each student. I teach 300 students and this process took approximately 2000 minutes of school time. This equates to roughly 33.5 hours of instructional time. Through the support of my fellow teachers and administration, I was always able to complete the process but I was searching for a more efficient medium. Along came the iPad. 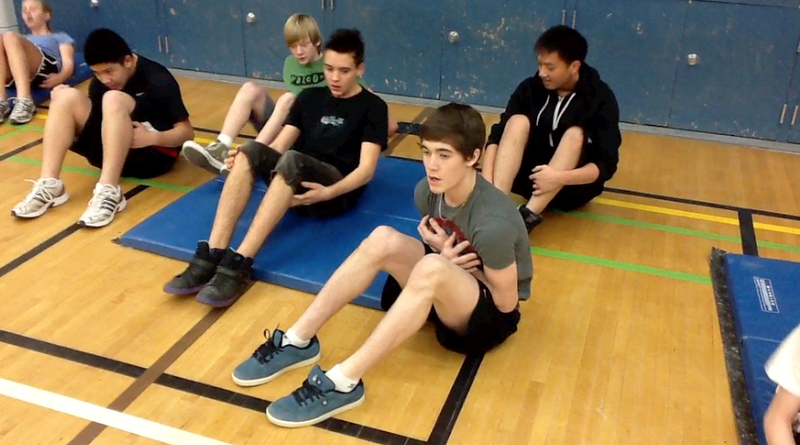 The goal of this project is to determine if the video assessment gives our students (and parents) a better understanding of the PE program goals and their progress in class with relation to these goals, than a traditional written assessment. From speaking to our students, many of them don’t even read the comments that we write on the report cards. So, at the very least, we are ensuring communication with each student. Dean, it is a huge undertaking to organize the time to record a video assessment and interview with each of your 300 students, but clearly based on the exemplars you share through the video clips and the positive feedback you have received from the students and parents, it is most worthwhile. You highlight the effective use of the iPad2 to demonstrate what the students have accomplished in terms of the rubric you have developed and your focus on their areas of strength and areas for improvement in the school and in their out of school activities. Well done!